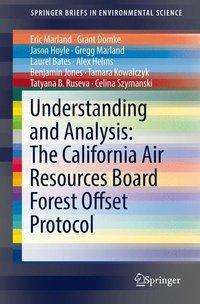 Der Artikel Alex Helms: Understanding and Analysis: The California Air Resources Board Forest Offset Protocol wurde in den Warenkorb gelegt. This book is a product of the initial phase of a broader study evaluating the voluntary and regulatory compliance protocols that are used to account for the contributions of forests in U. S.-based greenhouse gas (GHG) mitigation programs. The research presented here is particularly concerned with these protocols' use of the USDA Forest Service's Forest Inventory and Analysis (FIA) data to describe forest conditions, ownership, and management scenarios, and is oriented towards providing regulators and other interested parties with an objective comparison of the options, uncertainties, and opportunities available to offset GHG emissions through forest management. Chapters focus on the protocols for recognizing forest carbon offsets in the California carbon cap-and-trade program, as described in the Compliance Offset Protocol; U. S. Forest Projects (California Air Resources Board, 2011).